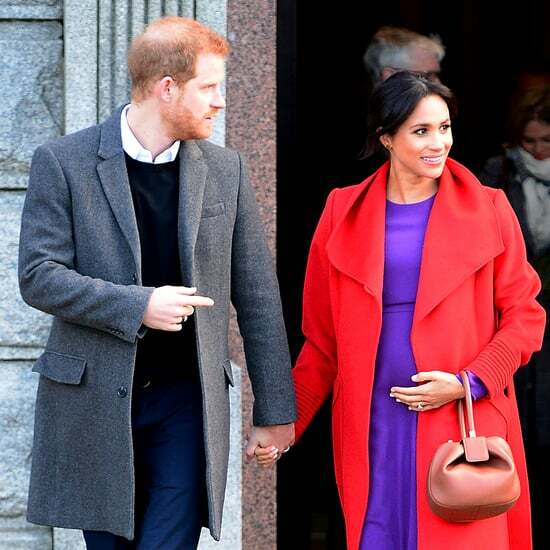 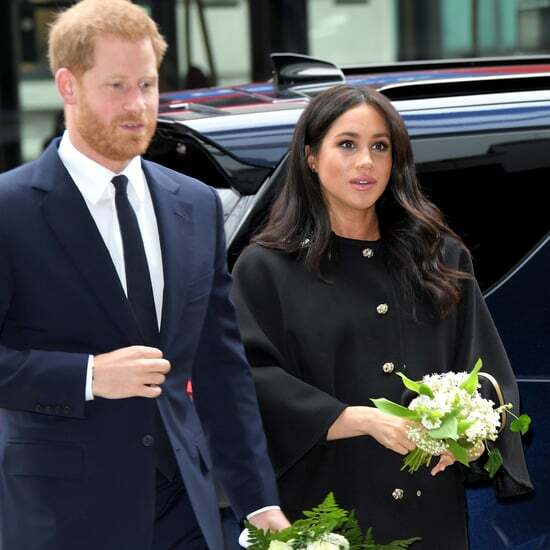 She might be getting ready for the arrival of her first child, but Meghan Markle has no plans to slow down the pace of her royal engagements. 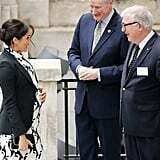 Following her Moroccan tour with Prince Harry, she also attended a reception to honor Prince Charles, as well as making a surprise appearance at Prince Harry's WE Day event. 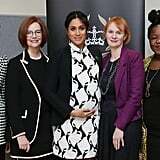 On Friday, the duchess joined a panel discussion at King's College London convened by the Queen's Commonwealth Trust (which Meghan recently became vice president of) to celebrate International Women's Day and discuss the importance of it, spotlighting issues that still affect women across the world. 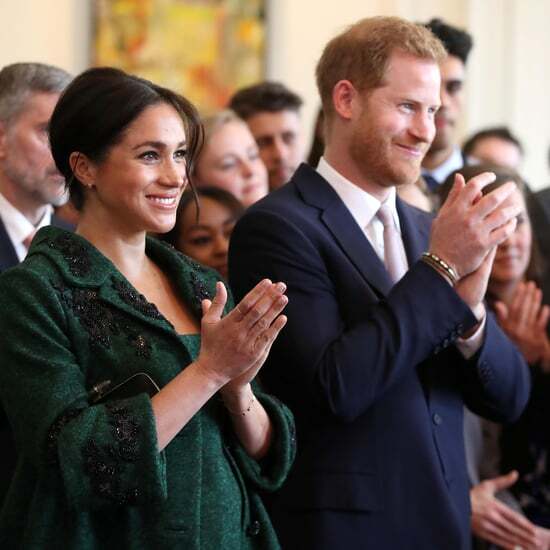 The event brought together a group of female activists and thought leaders to discuss issues affecting women today. 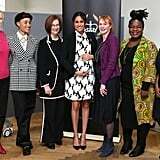 Meghan was in great company, as panelists included Annie Lennox, founder of The Circle NGO; Adwoa Aboah, founder of Gurls Talk; Julia Gillard, chair of the Global Institute for Women's Leadership; Chrisann Jarrett, founder of Let Us Learn; and Angeline Murimirwa, executive director of the Campaign For Female Education. Keep reading to see all the photos from the afternoon.